In this guide, we will be covering insurance leads by individual product line. It is a collection of our experience along with product expert tips submitted by our readers. Each line of insurance has its unique angles when it comes to lead generation and lead buying. These details can be the difference between top production and failure. Life insurance comes with sizeable payouts in addition to the genuine satisfaction of providing people with something they really need, making this line one of the most sought-after in the insurance business. However, other agents understand its value as well, therefore finding new clients can prove to be a very difficult task. By virtue of reading this, you are probably already aware of the demand for high quality life insurance leads and the value of a good lead. The emergence of the Internet has had a substantial impact on the life insurance business, as most people looking to buy start their research on the online search engines. It is equally true for agents and agencies as well, as the term “life insurance leads” is the second most used search phrase in the “insurance leads” vertical, therefore the competition in this market is closer than in most other lines. What Makes Life Insurance Unique? To begin with, life insurance leads are probably the hardest ones to generate. The good news here is that virtually every lead generation method is in play here. There are plenty of angles here and we recommend life insurance agents to try them all and see what works for any particular area and target demographics. As around 50% of buyers search for life insurance online, having a substantial web presence can be particularly effective. Because of the difficulty to acquire good leads, referrals usually make up a significant part of new business for most agents. Long-term relationships and trust are even more important in the life market than in most other lines, therefore we advise spending more time talking, listening, and engaging in conversation with current clients and prospects alike. Drip marketing is a viable option here, as it allows maintaining regular communication and facilitating referral business. Life insurance also has a lot of niche opportunities, Final Expense and Mortgage Protection to name a few, which can be bundled and cross-sold to the same clients or prospects. LIn addition to different niche products in the life insurance line, it is ideal for cross-selling from and into health and financial lines. Although most clients consider life and P&C insurance solutions to be completely different products, the penchant for one-stop shopping can result in an inclination for buying P&C insurance from you as well. If you do not offer this line, you can always exchange leads with other agents in the area. Lead Generation – Keeping an open mind is very important if you are looking to acquire leads yourself in this highly competitive market. In addition to online marketing, we suggest employing direct mail to reach individual buyers. It can be used with traditional whole life policies with highly targeted prospect list and is increasingly popular for both mortgage protection and final expense lead generation. For group plans, it is a good idea to focus on telemarketing and call local businesses. Lead Buying – Buying life insurance leads is very popular because of the difficulty to generate them yourself and there are quite a few options here. There are plenty of different shared lead services on the Internet, so it might take time to test out several providers and narrow down to the ones which provide the highest ROI. Some lead companies offer pre-qualified leads which cost a bit more, but filter out any people which would not qualify for the products you offer. We also recommend trying to develop relationships with smaller consumer insurance websites as well as agents selling other lines in your area to buy exclusive life insurance leads directly. Exclusive lead services are in very high demand, therefore they are usually much more expensive and tougher to find. However, they can provide the best bang for the buck in the long run if you work them right. Generally, health insurance is very similar to life insurance in terms of a huge demand of good leads and a large number of viable lead generation methods. In addition to that, the sales cycle is usually longer than in some other lines, therefore you should be ready to spend more time with each of your prospects. The Affordable Care Act shakeup did not diminish the demand for private health insurance, but most people have difficulty understanding the changes which have been happening, providing a unique opportunity for insurance agents. Education makes up a large part of time spent communicating with clients and prospects for as many as 70% of health agents, making comprehensive product knowledge an essential part of the business. There is a lot to know when it comes to health insurance, therefore you have to be ready to answer all the questions your prospects might have. The health insurance line has two primary segments: individual vs. group. Each of them has their own distinctive aspects which should be approached in a different manner. What Makes Individual Health Insurance Unique? Regardless of the volume of people looking for health insurance, good leads can be scarce. As pre-qualification is key to individual health insurance, most lead generation models do not provide sufficient effectiveness. A blanket campaign will usually bring you a number of prospects which are not qualified or want cheap/free coverage, meaning you are wasting your time without closing the deal. 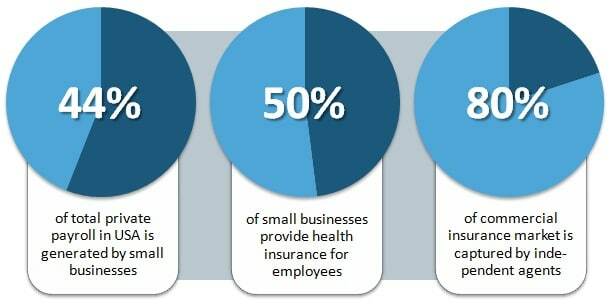 Two main methods which seem to work best for individual health insurance are buying online leads and contacting small businesses which do not provide health insurance. Most online providers allow you to filter the leads and target only your ideal prospects, making the Internet the real winner in this line. However, if you are good with phone sales and can get past the gate-keeper, calling small businesses is also a viable option which can net you multiple leads at a single time and result in some very good sales. What Makes Group Health Insurance Unique? Group health insurance leads are even tougher to come by than individual but provide some of the largest commissions in the whole insurance market. Most lead generation models can work here, but we suggest focusing on cold calling, online marketing, and networking for referrals in addition to buying leads. Most of your potential leads will already have some coverage, so detailed product knowledge is essential to provide prospects with creative solutions (typically cost savings) which are usually necessary for group sales. Targeting new businesses can also bring nice results, but the sales are typically smaller, while the competition is very strong. Individual health insurance can prove to be very tough for cross-selling, but in case the opportunity arises, you should try and offer LTC and Life Insurance. Because of the time spent educating the clients and the trust you are building with them, there are usually some opportunities to offer P&C products as well or exchange/sell the leads to other agents in your area if you do not offer this line. 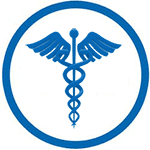 Group health insurance can be offered together with group disability insurance products and commercial P&C. Lead Generation – The most effective methods depend on your target market, but we recommend cold calling businesses for both individual and group sales. For the latter, some of the companies will not plan to offer health insurance, but you can make a pitch to present individual health options for their uninsured employees. In case they already have a provider or are open to providing insurance for their employees, be prepared to offer a detailed supporting case for the value of a group plan. Because of the huge need for client education, event marketing (seminars, webinars, Q&A sessions, etc.) can also prove to be highly effective. A website with a collection of useful information explained in a simple way can also result in some extra leads, but it has to be perfectly optimized for local searches. This takes up a lot of time, however, so we suggest looking into lead buying possibilities as well. 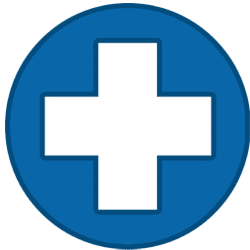 Lead Buying – Internet lead providers are big players in the health insurance business. They usually offer plenty of individual leads, but group alternatives are much scarcer. There are plenty of companies which provide low-quality leads, so testing several providers is essential to determine which ones have the best coverage in your target area to provide a good ROI. While shared online leads are by far the most popular option, we recommend trying out exclusive leads as well. Even with the higher price and frequent disappointment, a good exclusive lead source can be a real gold mine. Leads generated via telemarketing and direct mail services are also an option, but it would not be our first choice in most cases. Get the most out of your paid and earned leads with our free cheat sheet. One constant with P&C is the huge opportunities for cross-selling. P&C products are an easier sell than financial products and offer the ability to build a book of business at a much faster rate. As businesses have a need to be insured against a variety of unexpected issues, commercial P&C insurance is among the easier lines to work with in regard to both lead acquisition and closing sales. The majority of our experience comes from working with BOP programs and general liability with a strong emphasis on cross-selling other lines such as group life and health insurance. There are many different approaches to commercial insurance, but we recommend targeting new businesses over established ones. There are always a number of them entering the market in your target area, and a surprisingly large percentage of them have little or no liability coverage or knowledge about the reasons why they need it. New businesses, especially SMBs, are the low hanging fruit of commercial P&C – the restrictions in this segment are much more relaxed in terms of calling, as there is no DNC list. What Makes Commercial Insurance Unique? Around 80% of all commercial P&C insurance market is captured by independent agents, meaning business owners are used to dealing with them and value mutual trust and long-term relationships. Therefore, their participation in local business clubs might become a great source of referrals if you provide great value and stay in constant communication. Moreover, commercial P&C provides some great cross-selling options which usually do not come with other insurance lines. Once you have an interested party, do not miss the opportunity of cross-selling group life or health insurance or any other lines relevant to the prospect’s business. You can try packaging these related products and present them as cost savings while selling the benefit of having a one-stop insurance source. Most SMBs are very lean operations, so they do not want to spend too much time managing their insurance plans. Therefore, there is a huge opportunity of getting plenty of business from a single commercial insurance lead. Lead Generation – If you decide to acquire commercial P&C leads by generating them yourself, we highly recommend cold calling or visiting new or 1-2 year old small and medium businesses in your target area. You can typically get a list of such operations by visiting your local chamber of commerce. If you are looking for more specific lists, we advise dealing with a list or data broker. Either way, calling new businesses is the method we would recommend to start with. If you have a larger list, you can consider using a predictive dialer or even outsourcing telemarketing services. 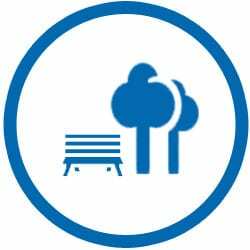 However, if your target area is small and you have good face-to-face skills, you can try dropping in during non-peak hours and simply start a conversation with the business owner. Some agents still use voice and fax broadcast efforts to blanket all businesses in the target area regardless of their size and time of establishment. However, the US government had begun to rein in some of these practices, so we would suggest phasing them out from your lead generation efforts altogether. If you already have an established book of commercial business, do not hesitate and call them from time to time to check on their (potentially changing) needs. In addition to the possibility of getting new business from the same client, it serves as an opportunity to discuss local business in general and obtain some new high quality leads via referrals. Lead Buying – Shared online leads are a solid option for commercial P&C insurance. The volume is typically not huge, but the leads you buy are targeted and usually have a much higher closing ratio than those in other lines such as life and health insurance. As always, we recommend trying out purchasing leads from a few different companies to find out which ones provide the best return for your investment. Auto insurance is the line that has seen the most dramatic evolution moving to a digital world. 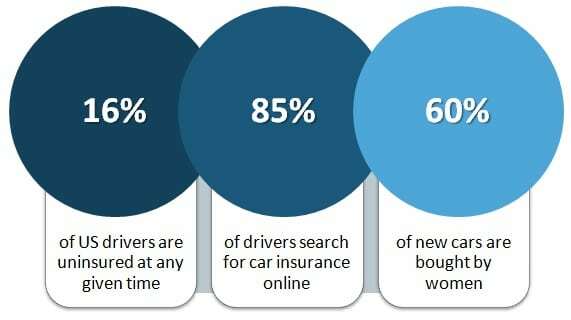 Auto insurance is by far the highest searched insurance product on the internet with over 85% of policy owners beginning their research online. The point here is to meet the consumer where ever they are. Traditional methods of lead generation can work for auto insurance leads, but they don’t net the same volume and are much harder to target specific prospects. Our focus with Auto insurance leads is heavy on internet acquisition through self-generated leads leveraging agency websites, content websites, social channels and online lead services. 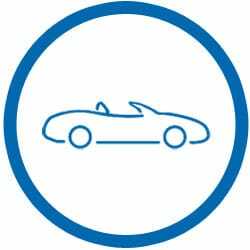 While you might not need an online presence to generate leads for most other lines (although we recommended it), you must be easily found on search engines if you want to generate significant auto insurance lead volume. There are many factors in play when it comes to establishing an online presence. Some of these factors include a website with informative content, search engine optimization, a social media presence, and pay-per-click advertising. Organic search leads are far and away the best type of lead an agent can get due to the high intent of search. It is important to understand upfront that search engine leads are a long-term play. It takes time and patience to build a meaningful web presence. If you do not already have a website, we recommend getting started with insurance lead services as most offer filters that can land targeted prospects. There are many types of auto insurance buyer and sub niches to serve. There are also plenty of tire kickers so filters are your friend as they can save a lot of time and effort. Auto insurance is definitely one of the best lines to cross-sell from and into. When selling this product, you should always be ready to offer other P&C lines or health and life insurance in case you sell it as well. Bundling lines together and offering discounts is a great way of providing additional value for your prospect, so there is a unique possibility to sell a selection of products at a single point of contact. Provided you take care of your clients’ needs, you will usually come across plenty of opportunities for add-ons and referrals in the long-term. Lead Generation – Traditional and grassroots marketing methods do still work for auto insurance leads. With that said, we find the best use of time is with internet based marketing activities such as content development, social media, and inbound marketing. Referrals are also a solid way of acquiring new leads, so working with your existing client base and finding unique ways of asking for or promoting word of mouth leads is also a viable option. Also See :42 Ways to Generate Insurance Leads. Lead Buying – As auto insurance quotes are requested online more than those of any other line, there are huge volumes of quality leads available to buy from a number of different providers. If you know how to work them, buying leads can be a really sound investment. Therefore we highly recommend getting your feet wet if you have not tried it before. You will probably have to work with several lead companies to find out which ones provide the best return, so even if one of them does not deliver anticipated quality (which you can also influence by using filters), it is still worth it to try another one. For more information, see our guide on Buying Insurance Leads. 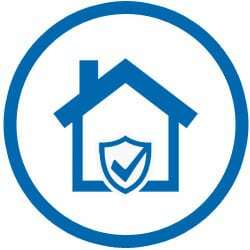 Homeowners insurance is a P&C line that can be quite profitable with the right approach. As with other lines of P&C, there are multiple layers of value with new client acquisition due to the extensive cross-selling opportunities. We recommend going with a two-tier lead strategy for homeowners insurance leads. The goal is to pursue highly targeted prospects through lead generation and lead buying avenues to produce the best value for your money and time. 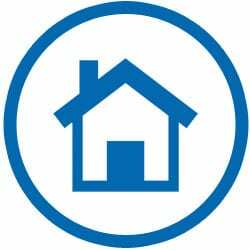 What Makes Homeowners Insurance Unique? When insuring residential properties, the window for sales is much smaller than in some other lines, as people are looking for insurance only when they are purchasing a new property or re-evaluate their existing policy when the renewal date closes in. 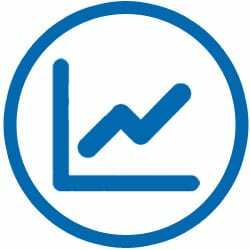 In that regard it is similar to auto insurance, but the real estate market has a significantly lesser volume. Therefore obtaining highly targeted leads is essential to be successful in this line. 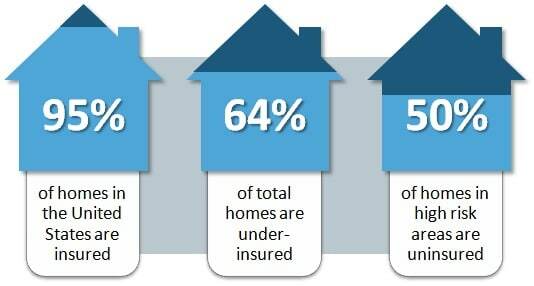 However, the statistics of homeowners insurance market are very promising, as 64% of total homes are underinsured, while around 50% of homes in high risk areas are uninsured at all. Client education comes in play here, as explaining all the risks and backing up your proposal with relevant data can be the factor which allows you to get more business from a single lead. In terms of cross-selling, homeowners insurance is very similar to auto and other P&C lines. It means that there are plenty of opportunities to sell other products in addition to home insurance. An effective way to do this is bundling different lines together and offering cost savings to your prospects whenever possible. Lead Generation – We recommend direct mail or telemarketing with a solid list. Lists can be bought through list brokers, or you can generate your own through local title records. This list is the key to your productivity so try to put an emphasis on getting quality data. There are several key pieces of information that can help us target a prime prospect such as purchase date, re-fi date, and the appraised value. Purchase and re-fi dates typically correspond with insurance renewals, so it is a good idea to make contact a bit before these dates. You should get a higher response rate with prospects that are within five years of initial purchase so if you have a big list start with the newer home buyers. When you do make contact via phone or direct mail, you need to have a ballpark quote on hand based on the appraised value with a strong case for cost savings. 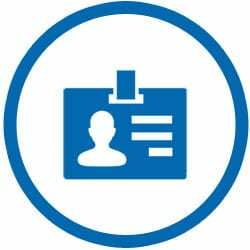 Personalized data will produce much higher response rates than a blanket card or script. These methods should provide a foundation for generating high-quality homeowners leads so let’s take a look at the next step. Lead Buying – As we’ve mentioned throughout this guide we recommend exhausting all available options for leads. This includes buying leads and specifically internet generated leads. We like covering our bases on homeowners with internet leads because internet research has become instinct for many consumers and it feeds our need for instant gratification. If you can generate interest with a mailer or phone call, there is a good chance the prospect will explore more options online before making a decision. Because of this, we want to make sure we didn’t generate a lead for someone else. When calling or mailing a list, it is a good idea to have your ZIP codes covered with at least one internet lead service. These leads are typically well targeted when using the right filters and are often prospects that don’t respond to traditional generation methods such as direct mail or telemarketing. Why in the world would any good agent spend time chasing down leads for a renters policy which costs only around $12.50 a month? 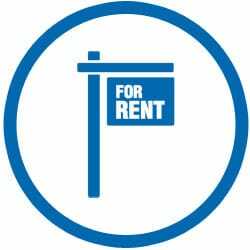 It is a very reasonable question, but the reality is that renters insurance can provide some great business if you have the time to invest. The policy will never bring a large commission, but it can lead to a lot more business through cross-selling. Renters insurance is one of the rare low hanging fruits in the business, therefore we highly recommend trying it out. What Makes Renters Insurance Unique? Because of low premiums and commission rates, renters insurance is probably the least competitive line out there. 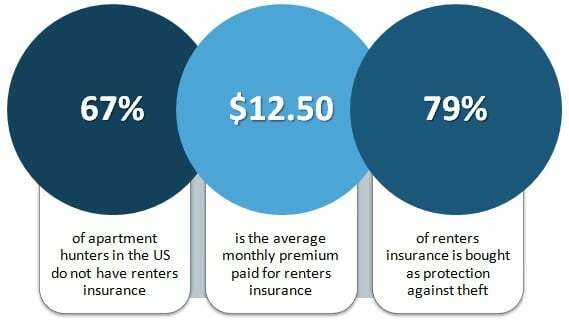 Around 67% of renters are uninsured and a large number of them do not know that their belongings and liability for what happens inside the home are usually not covered by landlord’s homeowners insurance. Therefore, client education is very important when generating renters insurance leads: once they learn all the risks associated with renting a home, the low monthly premium usually makes them very inclined to buy a policy. The main reason why renters insurance is so tempting is the cross-selling opportunities it provides. Working your leads and obtaining sales is just the beginning in the renters insurance game, as it serves as the gateway line to much bigger policies and word-of-mouth referrals. Contact your clients at every opportunity and be sure to ask for referrals. 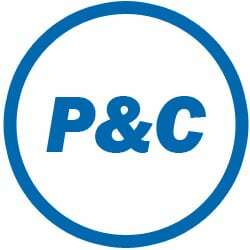 Even more importantly, do not miss the chance to cross-sell other P&C lines or even health and life insurance. Lead Generation – We recommend targeting large high-end apartment complexes as your primary prospect set. The goal here is to create a positive relationship with the apartment management so that you can market to current tenants as well as future tenants. Most complexes will have an agent or two that they recommend for renters insurance, and you want to be on that list. These recommendations are formed through relationships, so it is your job to figure out who you need to influence to get your name on the list. To connect with current tenants, we highly recommend old fashioned door hanger promotion. Custom door hangers can be ordered from various vendors online and off and are relatively cheap. Door hangers are most effective with complexes that do not have strict proof of insurance requirements before signing a lease. Lead Buying – Internet renters leads are a decent option, but we prefer to focus on self-generated options. Any agent that has worked in the senior insurance market knows that it is a different ballgame from other lines and requires a unique approach when consulting prospects. Seniors have time available and often need more time explaining the details before giving you their business. They respond to more traditional advertising and lead generation methods. Internet generated leads are low volume, but the ones that do come through are typically good. Yes, the senior market requires more legwork than other areas of insurance but at the same time business is good. With the baby boomer generation moving into their golden years there is high demand for senior products which has a lot of agents following the money. This market offers several unique lines that complement each other for cross-selling purposes, so we are combining them into their own section of the guide. Annuities are financial tools which can produce very reasonable results with the right execution. All the details of an annuity and all of the possible options involved are usually very confusing for the average consumer, therefore you have to be ready to educate your prospects about the alternatives they can choose. 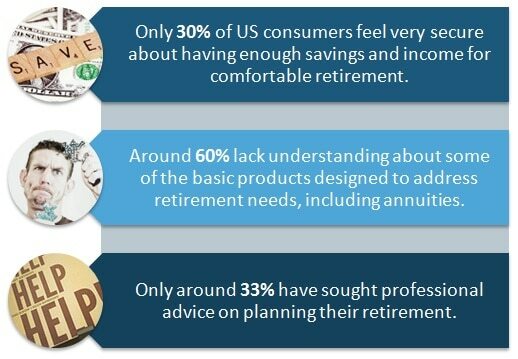 In fact, around 60% of people say they lack understanding about annuities and other retirement products, but only 33% of them have sought professional advice on the matter. If you have strong sales skills, you can certainly make a considerable income with annuities and all the subsequent cross-selling options. Most of your prospects are going to be rolling over a retirement fund or looking for a long-term investment vehicle which would offer ongoing income and/or tax deferment. All of this means that if you are looking for good results, you will usually have to focus on the senior market. Although they are sold by life insurance companies, annuities have more attributes of an investment than any other line we have covered. A large part of your prospects will be looking to get their money to work for them while minimizing the expenses on taxes, so the approach here is rather different than in other life insurance products. Emotional appeals will not work, so providing value backed up with real numbers is essential in this line. If you ask the right questions, annuities can be cross-sold with a number of different lines, namely life insurance and other senior products, especially Long Term Care insurance. More than half of your prospects will need long-term care in older age (especially after turning 80), so LTC insurance can serve as a reliable wealth-preservation vehicle. To make the tax burden even lighter, some money can be moved into a life insurance policy with tax-free accumulation and death benefit. Either way, it is important to familiarize the prospect with the possibilities without overwhelming them with hundreds of separate options. Lead Generation ­ – Self-generating leads for annuity insurance requires a different approach from most other lines. The method we highly recommend is a two-step informational lead. Annuities are very complex even without the new bells and whistles added on a regular basis, so you will want to provide potential prospects with commitment-free information. In addition to distributing informational booklets, you can organize free seminars or Q&A sessions on the topic. Both of these options allow you to present valuable and relevant information while making your sales pitch at the same time, with ample opportunities to ask for business or promote related senior insurance options. When that is done, you can move on to the second step: advertising the offer to your target audience. Senior prospects typically respond to traditional advertising methods better, so you should consider newspaper ads (especially obituaries), yellow pages, TV advertising, and cold calling. There is a way of avoiding advertising altogether and still generating a sizeable amount of leads: you can try approaching retirement living communities, senior social groups, and senior clubs with your free booklets or an offer to organize a free educational seminar. By doing that, you are marketing directly to your target demographic without having to seek them out individually through advertising. Lead Buying – Some quality leads will always come through the Internet lead services, so we do recommend covering several different companies to work out which ones provide the best return. 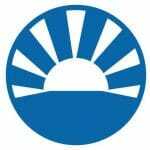 However, the majority of annuity leads will typically have to be self-generated. Medicare is one of the most rapidly growing markets for insurance professionals. 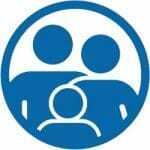 As coverage typically begins at the age of 65, demand for Medicare insurance has been steadily increasing as the Baby Boomer generation (born on 1946-1964) started to become eligible in 2011. Moreover, the Medicare market’s popularity stems from a strong initial commission in addition to typically being an easy sell once an appointment is set. Consumers need health coverage and have an inherent trust for Medicare products due to government regulation and association. Although the market is steadily growing, the competition is very close, so obtaining high quality leads might be difficult. Because of a number of differences, we will cover Medicare Advantage (MA) and Medicare Supplement (Medigap) products separately. What Makes Medicare Advantage Insurance Unique? Agents can offer MA products on several occasions: when a US citizen turns 65 or during the open enrollment period, annual elections, and pre-defined major life events. In addition to that, there are plenty of marketing regulations (for instance, cold calling is not allowed for MA plans) and product availability variations from state to state, so any agent looking into this market should start with their state’s Department of Insurance. The largest volume for MA plans is during the open enrollment / annual election period which occurs from mid-October to mid-December every year. During this time, producers focusing on Medicare typically work much longer hours to get their share of the limited-time volume. While there are plenty of seniors on Medicare, targeting the right prospects can prove to be a challenging task. What Makes Medicare Supplement Insurance Unique? Medicare Supplements have much more flexibility and are a lucrative option for agents to promote on an ongoing basis. Med Sups open up a selection of cross-selling opportunities, so providing the same client with a few different products is very likely. However, the period from the first contact to a sale is usually longer than that of MA plans: the senior demographic usually requires more time spent explaining all the coverage possibilities, especially when there is no rush as Medigap products can be offered all year round. As Medicare policies usually do not cover long-term care, bundling MA or Medigap with LTC insurance can be very effective. MA or Medigap can also work well with Final Expense insurance, annuities, and Medicare prescription drug plans, so you should be ready to offer a selection of options when you book an appointment. However, be sure to check with your local Department of Insurance at first to learn all the existing regulations in your state. Lead Generation – Medicare insurance leads can be generated with direct mail, client referrals, visits at senior clubs and organizations, and traditional media outlets such as radio, TV, and newspapers. During the open enrollment period, any medium that has a strong 65+ demographic is something you should consider. Free seminars can also be very effective, especially if you are able to organize them at local community centers or other locales which are popular among the senior demographic. You should not withhold your marketing efforts until the enrollment period however, as you can focus on the Turning 65 (T65) market throughout the whole year. Cross-selling current clientele by offering them Medicare as an add-on product would be our #1 choice, but if you do not have a lot of clients to begin with, we would recommend purchasing T65 leads instead. Traditional advertising is usually not very effective in this case because of the strict age requirement of the target market. Lead Buying – Medicare insurance leads can also be obtained from Internet lead companies. We would recommend focusing on buying T65 leads throughout the year, as high quality leads might prove to be very expensive during the open enrollment / annual election periods. Final expense insurance is a selfless purchase that is not too expensive for the consumer and can be sold to virtually any senior. The commissions aren’t huge, but an FE sale opens the door to multiple related lines. Regarding final expense lead companies, you are going to find services that generate the leads via direct mail as well as the internet. Internet final expense leads can be found with many of the larger insurance lead services. Some will offer pre-defined filters for final expense while others will need to be filtered manually by narrowing down term leads by age and policy size. There are a few direct mail lead services as well that are quite popular among agents. We do not have firsthand experience with paid direct mail final expense leads, but they should be considered by any agents who are considering a self-run direct mail campaign. Paid services run massive volume and have highly tested promotional material with bulk cost advantages. These efficiencies might make these services cheaper than running your own campaign. It is a good idea to get some pricing and compare costs before you make a decision. Long Term Care insurance is one of the few lines which have been picking up a lot of traction over the last several years. It is not as straightforward as Final Expense insurance (as not everyone will need long-term care in the long run), but many seniors realize the need to be covered, making it a quicker sell for the agents. However, a “quick sell” should not be assumed in this market. Be prepared to spend extra time explaining details in depth with every single prospect. 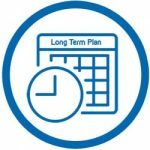 What Makes Long Term Care Insurance Unique? LTC is one of the fastest growing verticals in the insurance business. Be prepared for a competitive sales environment. The emotional appeal of a long-term care policy is a key purchase factor for the senior audience. Focus on dignity, self-reliance, and financial benefits for their loved ones. Scare and pressure tactics are usually inefficient. With a variety of cross-selling options, it is important to spend time building rapport and trust with the long-term care prospects. As with all other senior lines, be sure to try and cross-sell related senior products both to your existing clients and engaged prospects. While health and life insurance is always an option, some of the niche propositions can work very well. That is why we recommend trying to bundle LTC with Final Expense policy – it has the same emotional appeal but is much more affordable, usually making it a rather easy sell. Lead Generation – Most marketing methods can be effective when generating leads for LTC insurance. 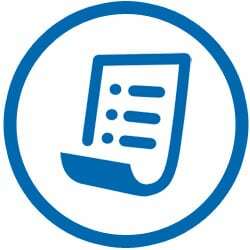 We recommend starting with direct mail and online lead generation methods. Combining these options provide the prospect enough time to think over the decision together with an opportunity to satisfy the need instantly. We suggest having a website or landing page created to capture leads and including the URL as an alternative response option in your mailer. Another lead generation method that works well for LTC leads is the informational seminar. While you are going to spend considerable time organizing the event and getting seniors to attend, educating a captive audience about the benefits of LTC coverage can net a significant return. An alternative to the seminar is hosting an online webinar. The Internet hasn’t always been an ideal medium for senior lead generation, but we have found Baby Boomers are much more Internet-savvy than previous generations (Thanks, Facebook!). With the right angle, you can expect webinars to pull high quality leads with a lower acquisition cost than a traditional seminar format. Lead Buying – Even if you do have a website to include in your direct mail campaigns, be sure to cover your bases with long-term care internet leads. People will usually shop around for other offers, so even if you evoke interest, it does not mean that the final sale is yours as well. By purchasing online leads, you are decreasing the chance of cannibalizing your marketing efforts. What is more, we have noticed an increasing volume of LTC leads generated via online channels, so there are plenty of opportunities to acquire quality leads without using traditional advertising methods. Mortgage protection insurance is a unique niche life insurance plan which caters to new and recently purchased home mortgages and covers the initial amount or remaining balance in the event of the death (or, in some plans, critical illness) of the household’s main income provider. Much like the other lines of life insurance, this policy fills the need to protect a person’s loved ones, so it is often a rather simple and straightforward sale. This niche insurance plan is perfect for getting your foot in the door of life insurance leads. Most people can clearly see the obvious value that comes with mortgage protection. Add that to rather inexpensive premiums, and you get a special opportunity to build trusting relationships with prospective buyers of much more expensive life and health policies. However, it is vital to provide maximum value on your first sale – most people will still shop around, so you want them to know that you have provided them with the best option right from the beginning. What Makes Mortgage Protection Insurance Unique? If obtaining high quality life insurance leads is difficult, it gets even harder with mortgage protection insurance leads. The volume of the market is not very big, as every prospective lead must have fresh mortgage in addition to being interested in purchasing life insurance. However, once you work the lead into a prospect, it should be easier to close the sale than in some other lines, especially if you back your offer up with relevant data and clearly communicate all the value and benefits. Mortgage protection insurance is great for cross-selling together with the more expensive life and health insurance lines. In fact, purchasing mortgage protection gets most people thinking about other insurance plans they have (or should have), so being the first person to be contacted about them provides you with huge cross-selling opportunities. You should be proactive here as well: while your clients might not want to spend a large chunk of their money on a few different lines during the first sale you make, they may reconsider after a few months. Constant communication through drip marketing can be very effective in this case. Lead Generation – For self-generation, direct mail is usually the best option. You can buy lead lists or obtain public title records to create a targeted list of recipients. Personalized letters always generate a higher response rate, therefore spending a little extra time to provide an approximate quote can certainly make a difference. Telemarketing is also an option, but a highly targeted list is required for your efforts to be successful. Lead Buying – As we have already mentioned in other sections, it is always a good idea to cover your mailing or calling area with a few online lead services to avoid cannibalizing your efforts. Direct mail or a call can plant a seed of interest in the prospect’s mind, and the Internet is the first place they are going to go to do some extra research before getting back to you. While some online lead providers offer pre-set filters for mortgage protection leads, other will require you to set your own terms to target this particular niche.